1.5 MILLION VIEWS OF OUR WEBSITE !!! Kennel Club of England in Herne Bay, Kent, for working, showing and primarily as pets. Our dogs come from the best European and American champion lines with excellent pedigrees. We offer 24/7 backup and support to all our families and their puppies, they will always be our babies. We like to do things differently, an Irish Terrier has to fit as a shoe, they are all different and the art is to find the one who will meet your needs. We can even mature a puppy for you. Doing the early socialization and basic training, before they become part of your family. Plus any specific requirements, such as travelling on public transport, engaging with and not freaking out when meeting cattle or horses. Whatever the requirement, we will aim to do the groundwork. We hope you enjoy looking around the website. 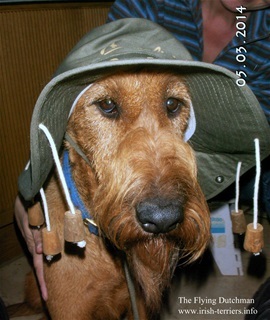 If you are interested in learning more about the Irish Terrier please do not hesitate to contact us. If you like our website you might like to leave a message in the guest book.